Fitness boot camps are popping up everywhere on the map. It’s a hot investment, and you might’ve even considered starting one for yourself. Why not? You can make lots of money, help more people get in shape, and live out your purpose every day. Plus, boot camps don’t feel rigid or boring; they’re uptempo workouts filled with encouraging boot camp members. So you want to know what you need to do to run a profitable boot camp? One that stands out amongst the competition? 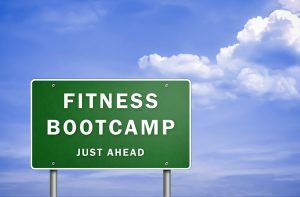 Let me share with you the 3 keys to super success in the fitness boot camp space. First and foremost, the number one thing you want to do is not call your boot camp classes “classes.” Instead, call them sessions. Think about it. Big box gyms give away classes for free. Do you really want to compete against something that’s given away for free—especially if you’re charging for it? Sessions call back to personal training. That’s one of the biggest draws of the boot camp model—your clients get the attention of personal training at the cost of group training. Meanwhile, big box classes are often too crowded and impersonal to get in an effective workout. Don’t sell yourself short. Remember: sessions, not classes. Be good at one thing and do it better than anybody else. Most fitness boot camp businesses start having problems when they try and be everything to everybody. That doesn’t work, the space is just too competitive for that. What is the one thing that you’re going to excel at in your fitness boot camp? Stick to that one thing and do it better than anybody else—and cut out anything that doesn’t jive with that niche. Now for Fit Body Boot Camp, my fitness franchise, that one thing is fun 30-minute workouts that are high-energy, that deliver results, and that anybody can do, no matter what fitness level you’re at. Since our demographic is mainly women ages 25-55, we don’t have barbells, and we don’t have chalk, and we don’t have anything that’s going to intimidate them from wanting to work out with us. Finally, I want you to stop thinking like a trainer and start thinking like a coach. A trainer is someone who knows how to program a workout. A trainer is someone who understands the adenosine triphosphate system. They’re the guy or gal that might look good on paper, but they lack the extra skills that you need to coach someone to their fullest potential. See, a coach is someone who can get a client who’s not excited about working out to come in day after day and make exercise a lifestyle. A coach is someone who can take that client and get them to understand the benefits of eating healthy, rather than just coming in for that 30 or 60-minute workout and then eating whatever they want afterwards. When you start thinking like a coach, you start thinking at a higher level of support, of service, of mentoring, and of friendship. If you think that you might be a good fit to run a Fit Body Boot Camp, or you want to convert your boot camp into a Fit Body Boot Camp so we can automate all your marketing systems, give you all the business coaching and support that you need, and plug in the five dozen other secrets that we use to make our franchisees so successful, then I want you to click here so you can learn more about Fit Body Boot Camp and talk to one of our franchise business advisors. If Fit Body Boot Camp is right for you, I’d be more than happy to welcome you on board.